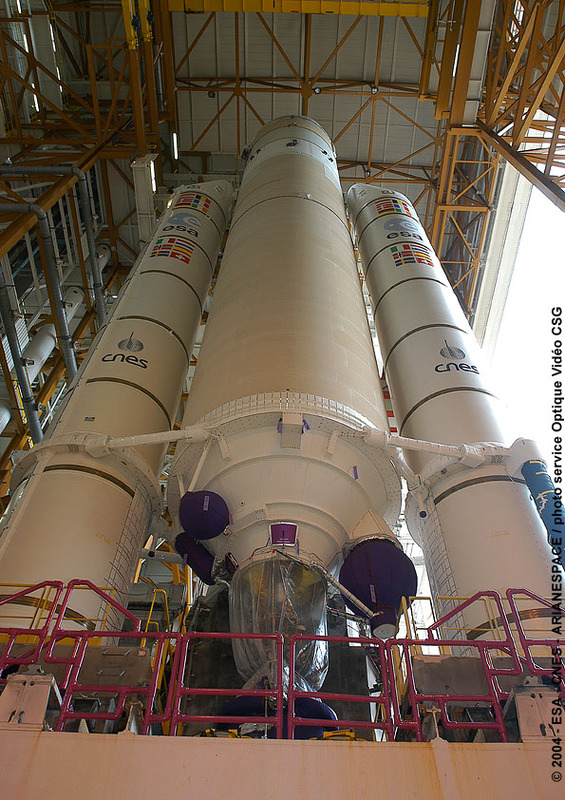 Since 9 August, CNES has been feverishly preparing for the forthcoming launch of Ariane 5 ECA, an uprated version of Ariane 5 offering greater lift capacity. After the failure of the launcher’s first flight in 2002, engineers embarked on a meticulous review. The launcher has now successfully completed ground qualification, but CNES’s teams are not dropping their guard and will be working flat out right up to the lift-off. Launcher qualification reviews and system rehearsals involve a whole series of last-minute checks and operations at the launch base in Kourou. This work-intensive phase focuses the energies of development teams at CNES’s Launch Vehicles Directorate and personnel at industrial contractors and Arianespace in Europe. 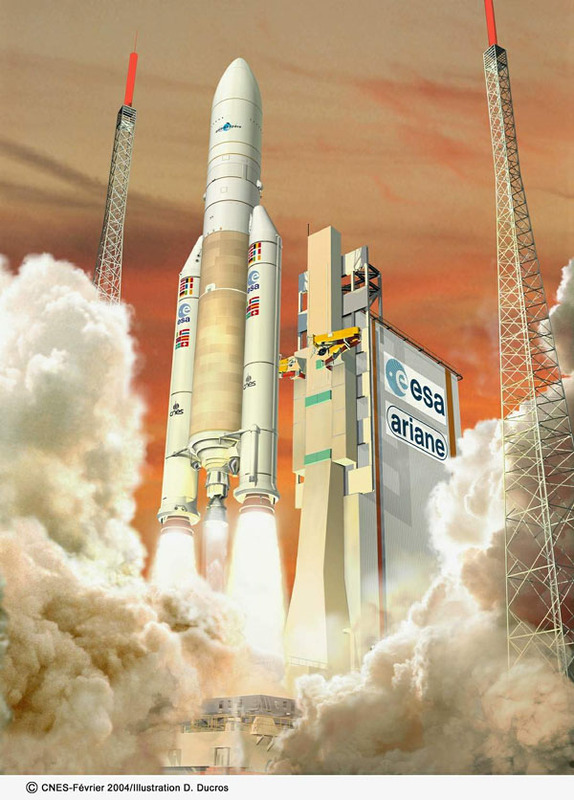 The Ariane 5 ECA is a more powerful version of Ariane 5 designed to place payloads weighing up to 9.4 tonnes into geostationary transfer orbit in dual-launch configuration (i.e., with 2 satellites on board). This compares with the 6-tonne capability of the generic version of the launcher. The failure of Ariane 5 ECA on its maiden flight in December 2002 dealt a bitter blow to the teams who had put their hopes in this new variant, delaying its market entry. The root cause of the failure was identified as a mechanical anomaly on the exhaust nozzle of the Vulcain 2 main engine. Despite guarantees provided by qualification testing, the nozzle was subjected to loads beyond its thermal and mechanical design limits on its first flight beyond Earth’s atmosphere. The anomaly was subsequently confirmed by an inquiry board and all resources were mobilized to implement the necessary corrections and scrutinize all critical points. These efforts have provided extra assurances to maximize the chances of success for the next launch scheduled in November, carrying the XTAR communications satellite and a dummy payload for ESA comprising various experiments and cameras.